Professor Jocelyn Getgen Kestenbaum, a teacher, scholar and advocate in the fields of human rights and public health, is an Assistant Clinical Professor of Law, Director of the Benjamin B. Ferencz Human Rights and Atrocity Prevention Clinic, and the Faculty Director of the Cardozo Law Institute in Holocaust and Human Rights at the Benjamin N. Cardozo School of Law. Through the school’s Human Rights and Atrocity Prevention Clinic, students gain legal skills through work on human rights projects and cases on issues related to atrocity prevention. Specifically, the Clinic focuses on three areas of work: the prevention of genocide and other mass atrocities; the protection of vulnerable populations, including asylum-seekers and victims of torture and sexual violence; and accountability for those responsible for war crimes, crimes against humanity, and genocide. Professor Getgen Kestenbaum has developed and expanded clinical projects, including in-depth fact-finding on issues of sexual and gender-based crimes, persecution as a crime against humanity and early warning risk analysis, on four continents and in more than ten countries. She also serves as faculty of the Cardozo Law Institute on Holocaust and Human Rights, a leading global center strengthening laws, norms and institutions toward the prevention of mass atrocities. She is particularly interested in mainstreaming atrocity prevention in law school curricula and training lawyers and human rights advocates on early warning risk analysis. Her scholarship agenda includes looking at the intersections of public health and atrocity prevention, especially as it relates to preventing and responding to sexual and gender-based crimes. Previously, Professor Getgen Kestenbaum worked as Program Director of the Virtue Foundation, a nonprofit implementing rights-based sustainable development projects in health, education, justice, and women’s empowerment globally. Prior to her work at Virtue, she was the founding Women and Justice Fellow for the Avon Global Center for Women and Justice at Cornell Law School. While at the Avon Global Center, she co-supervised projects and co-authored reports on issues of gender-based violence and access to justice, including a comparative study on acid violence in Bangladesh, India and Cambodia. 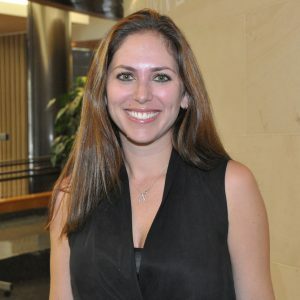 She has conducted original in-country research in several countries throughout Latin America, Africa and Asia, and has written award-winning articles examining the reproductive health and human rights violations of Nicaragua’s complete abortion ban as well as Peru’s enforced sterilization programs during the internal armed conflict. Her commitment to international human rights has won her Cornell’s Freeman Award for Civil and Human Rights. Professor Getgen Kestenbaum holds a JD from Cornell Law School and an MPH from the Johns Hopkins Bloomberg School of Public Health.